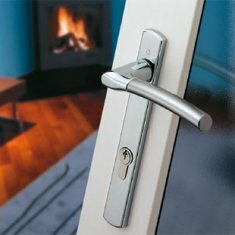 We have a superb range of UK quality cockspur window handles with key locking that meets home insurance standards. Cockspur window handles are found on the older generation of uPVC and aluminium double glazed windows and have for some time now been the simplest and most popular form of handles for new and old windows. When operated they close onto a small 'ramp' shaped cockspur wedge that is fitted opposite the handle on aluminium and uPVC windows. 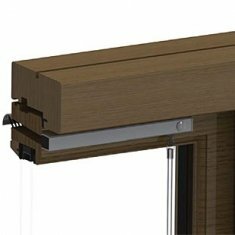 The handles we show on this page are for use on upvc or aluminium windows but if you need locking double glazing window handles or handles for timber windows then see our casement window latches section or alternatively go to our window handles section where we show all of our handles. 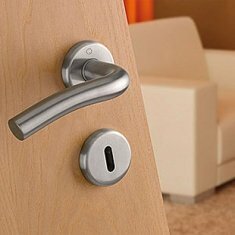 A cockspur window handle is a handle that relies on a spur to provide suitable retention between the opening frame and the outer frame on a window and has been used since the very first window was installed with glass! When aluminium windows first came onto the scene in the form of double glazing it also followed suit by using the same design of handle and uPVC then adopted the same as well. Of course it wouldn't be long before more complicated locks were needed on upvc windows and hence the different handle types that evolved to the more standard espag window handles we now see for multipoint locks. Needless to say it can be a confusing term to use as the evolution of cockspur window handles has led to differences between timber cockspur handles and upvc cockspur handles and many customers will get this confused. Read more about which type of cockspur handle to use? If you are thinking you may have come to the wrong page then take a short read of our guide on upvc window handles which will help you identify alternative window handle types. The original cockspur handles for aluminium windows were very basic but were a standard size and thankfully that has remained the case. Needless to say very few of the original cockspur handle manufacturers still exist but you may see markings on Cotswold Window Handles or WMS Reg De Handles which is a good starting point. 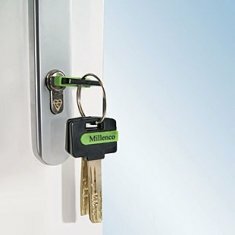 If you have an old aluminium window then undoubtedly you will need to conduct a search for replacement handles and will invariable find you need 9mm cockspur handles. The step size is the gap under the nose of the handle or the gap including the wedge between the two surfaces of the window. 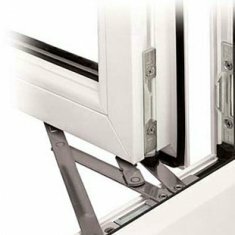 It is important to get this right as it ensures the window closes with just enough tightness to ensure there are no draughts. As the wedge blocks are generally interchangeable you can also adjust the closure of the window for different reasons if needed. You will also find that the fixing centres are standard too or at least one of two different size sets. These are 58mm between the outer fixing hole centres and 38mm between the inner two fixing hole centres. 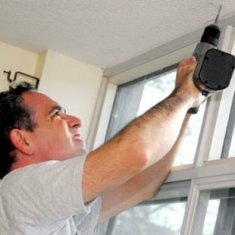 The whole process of how to replace cockspur window handles on aluminium windows is relatively straightforward when it comes to identifying and purchasing the correct handle but for one thing - fixing! In the vast majority of cases all cockspur window handles fitted to aluminium windows will be fixed using rivets and if you are not familiar with riveting this will cause consternation and a possible re-think. Rivets are used for good reason as the walls of the aluminium frame are no more than 2mm thick which will not allow enough thread for a screw to be used. 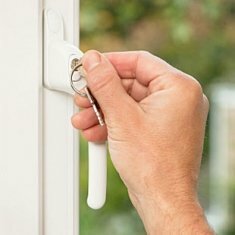 If you want longevity when it comes to your cockspur handles remaining on the window then ensure the same fixing method is re-deployed. Some aluminium windows with cockspur handles have used special screws though and if this is the case then you could consider yourself lucky as the replacement cockspur handles for your aluminium windows can be re-fitted very easily. Take care with those screws though as you are unlikely to find replacements with the same thread. When upvc windows came onto the scene the cockspur window handle was maintained as the predominant window fitting but was altered slightly for the bulkier frames that upvc needed. This meant that the step height of 9mm used for aluminium windows had to be increased to sizes right up to 21mm. As upvc windows developed the step height reduced on some upvc windows so there is an assortment of sizes needed for replacement handles ranging from 13mm upto 21mm cockspur window handles. 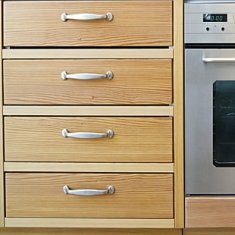 In later years it has become more of a challenge to find the correct size of cockspur handle for a straight replacement but with a small amount of adjustment using a different size wedge you can easily change your cockspur window handles for a perfect fit. Cockspur window handles are found on older upvc and aluminium windows. Just measure the step height.